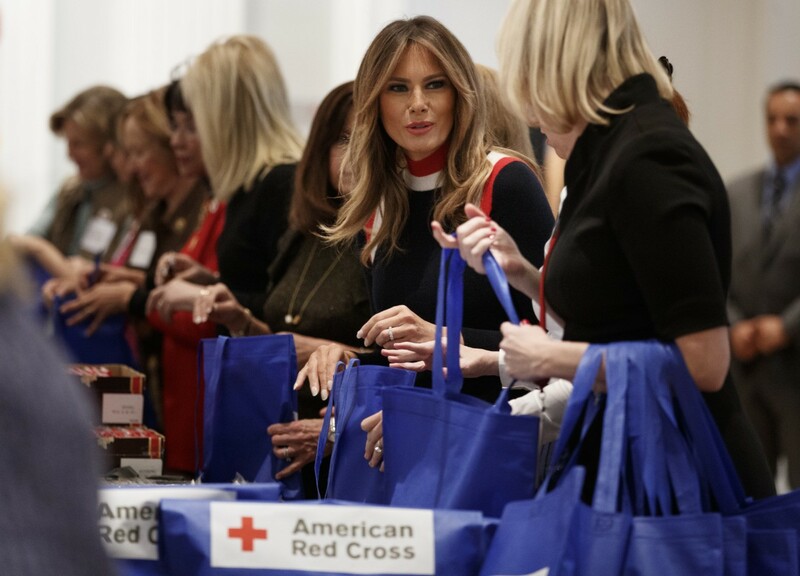 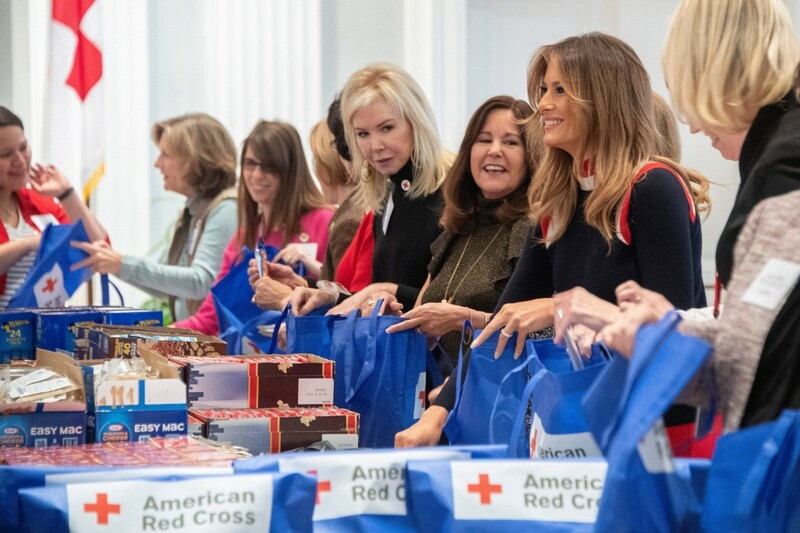 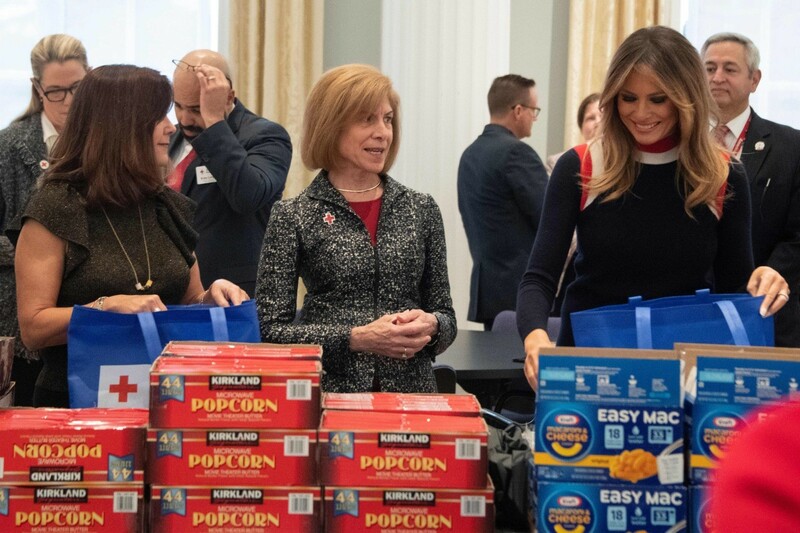 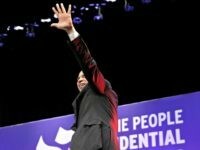 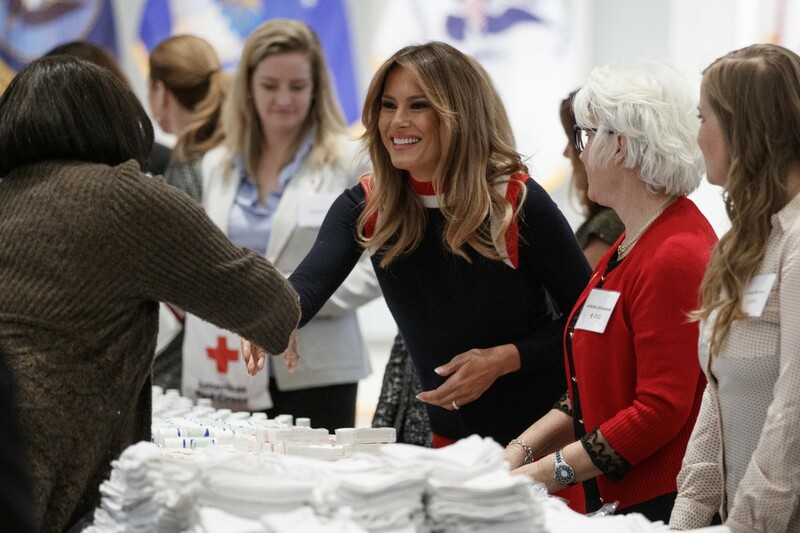 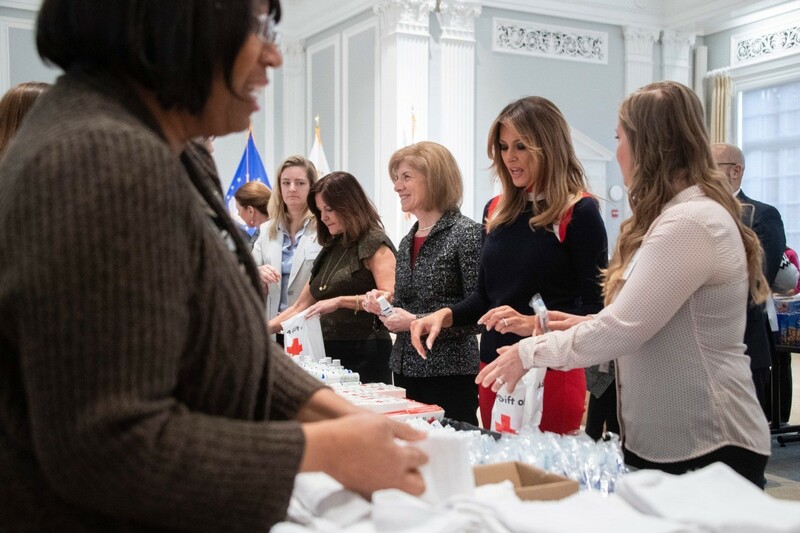 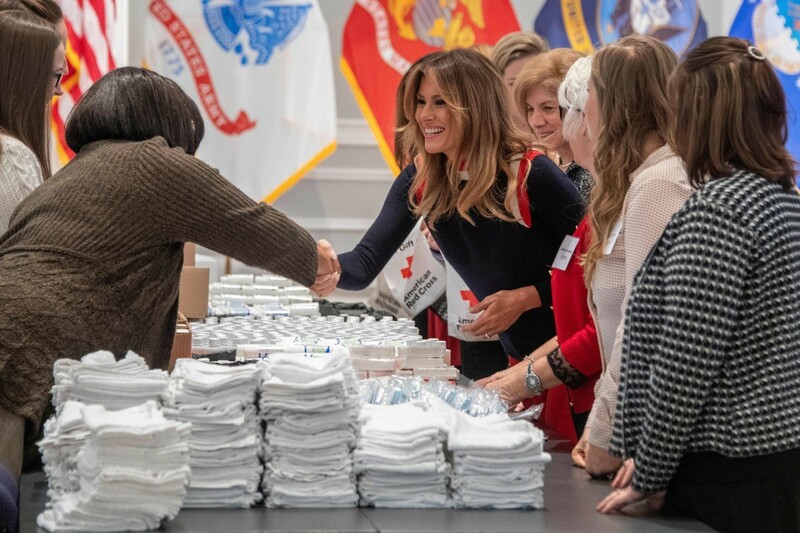 First Lady Melania Trump shined bright on Tuesday as she assembled care packages with the Red Cross for American troops and service members stationed overseas. 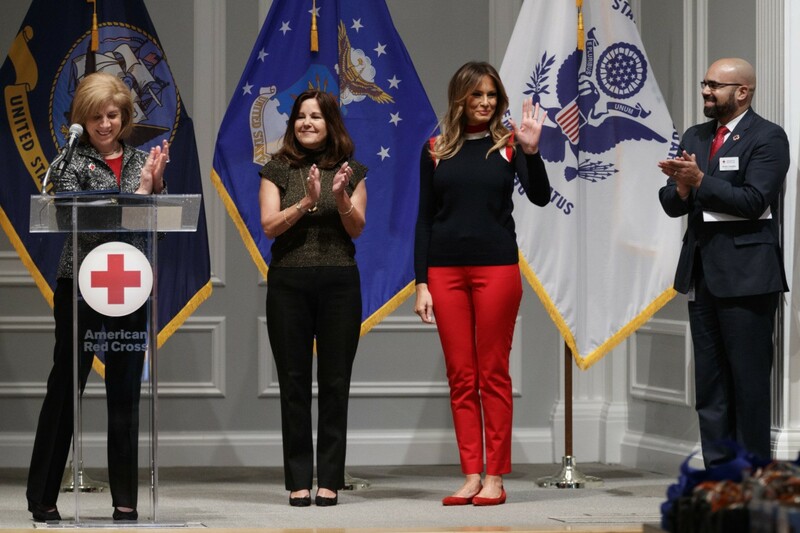 Mrs. Trump embraced the families of American troops in a patriotic ensemble of entirely red, white, and blue — how appropriate! 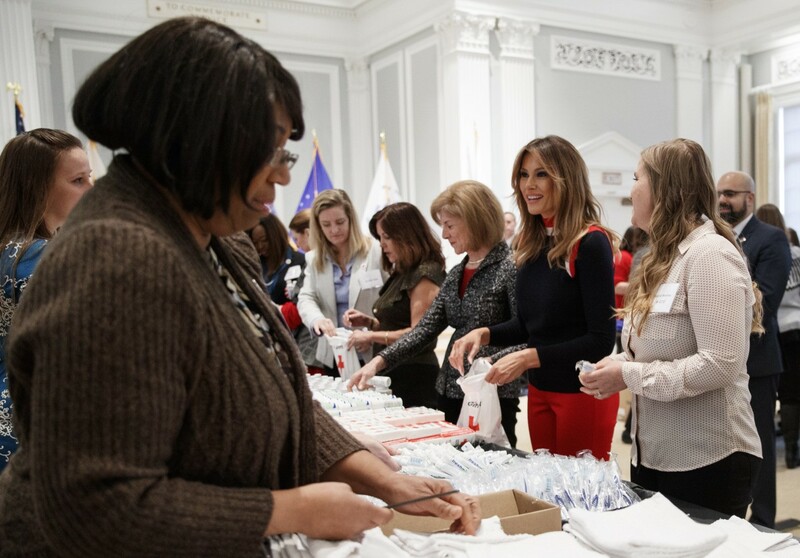 Mrs. Trump’s striped cashmere sweater is by Madeleine Thompson, matching the red stripe of the garment with her red skinny jeans and flats. 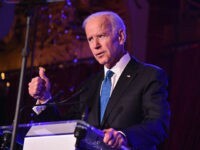 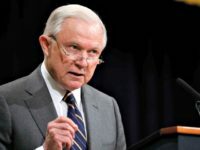 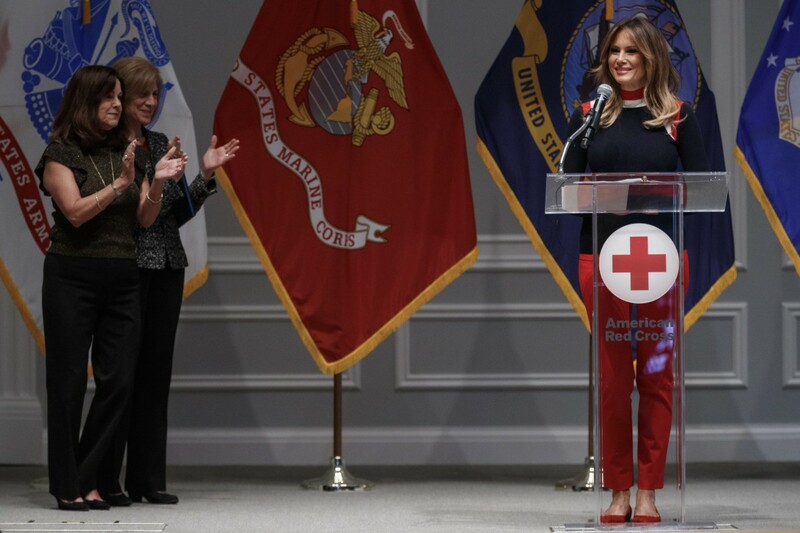 In a speech at the Red Cross event, Mrs. Trump thanked the U.S. military for their service and their families for the sacrifices they have made.